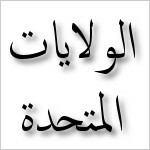 Arabic language courses, language schools and universities with Arabic language programs in Idaho. College of Arts & Sciences > Department of World Languages > Arabic courses. College of Language and Letters > Department of Languages & International Studies > Arabic courses. College of Arts and Letters > Department of Languages and Literatures > Arabic courses. College of Arts & Sciences > Department of Modern Languages > Arabic courses. College of Letters, Arts & Social Sciences > Department of Modern Languages & Cultures > Arabic courses.